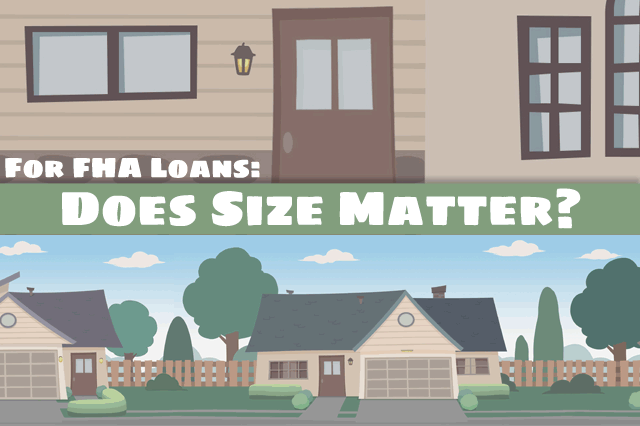 What Size Home Can I Buy With My FHA Mortgage? There’s more than one factor at work in that particular equation, as we’ll see. Did you know you can buy or renovated a multi-unit property with an FHA mortgage? Or rent out the unused living spaces in your newly purchased property? April 12, 2018 - What size home can you buy with an FHA mortgage? There’s more than one factor at work in that particular equation, as we’ll see. Did you know you can buy or renovated a multi-unit property with an FHA mortgage? Or rent out the unused living spaces in your newly purchased property? Be classifiable as “real property”. That means no RVs, houseboats or any home that will not be on (or affixed to) a permanent, FHA-approved foundation at closing time or as designated in the loan agreement. Be used as the purchaser’s primary residence. Occupancy is a condition of FHA home loan approval. Have between one and four designated living units. Not be a commercial or non-residential property. FHA loan rules permit mixed-use properties as long as the home is “primarily residential” in nature and the non-residential uses for the home must “be subordinate” to the residential character of the home. FHA loan rules in HUD 4000.1 specify that the property may have up to four living units. Yes, you are permitted to apply for an FHA mortgage for a property that has that many units without being required to occupy all units. You are also permitted to rent out the unused living units and act as a landlord, but you are required to live on the property yourself. No absentee landlords are permitted with FHA home loans. Depending on circumstances, you may or may not be allowed to count projected rental income as “verifiable income” for the purposes of the lender’s debt-to-income ratio. Your experience as a landlord in the past will be a determining factor in how/if that income is to be counted. Lender standards, state law, and other factors will apply. Talk to your lender about this potential and whether or not you are able to count projected rental income as part of your debt ratio.